Latest post Thu, Aug 24 2017 11:11 PM by Keith R. 51 replies. I have installed the Avid MC First package includng the application manager and have rebooted, however the appliaction manager seems to stick on 'initialising' for a very long time and then hangs. is there something i can do to speed this up? Cant seem to launch MC First without this. Check firewall settings be sure to allow AppMan. Another possibility that worked for me is to Click on "Sign in" in the App Manager. I have had this a couple of times when trying to open MC | First on a Mac from the Dock soon after the Mac Start up. Thanks for the suggestion. I did that and still no change from Initializing. The sign in button is there but when clicked nothing happens. App Manager continues to Initialize. Let's try to reset AppMan. Firstly thanks for getting back again on this issue. I have tried the procedure you layed out and unfortunitly the problem remains. 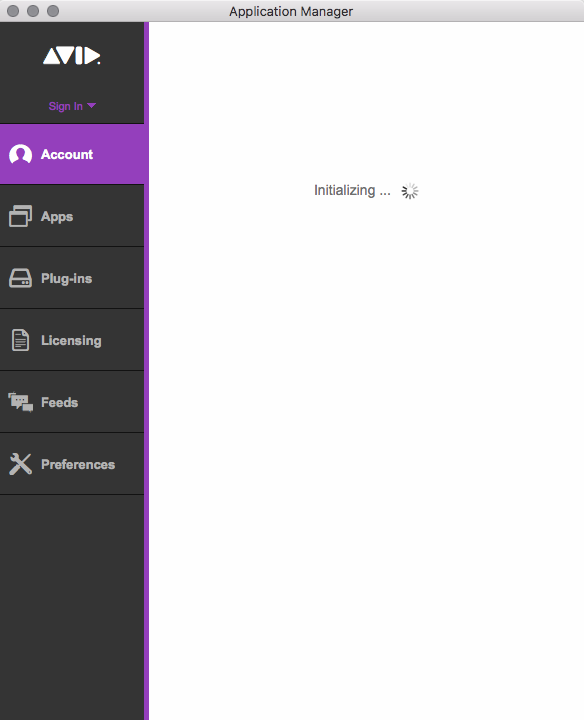 Very frustrating... the avid App manager is not something I would be happy with as a long time avid user (since 1995). I realise that the company has to protect itself from pirating and such but this does put you off. I have the same issue. I;ve removed and installed MC First twice and followed RalphC's instructions - Apploication Manager just sits initialising..
Did you solve this, Simon...? Have you followed BOTH of RalphC's suggestions? The second one worked for me however at the same time I also uninstalled the Application Manager and MC | First. 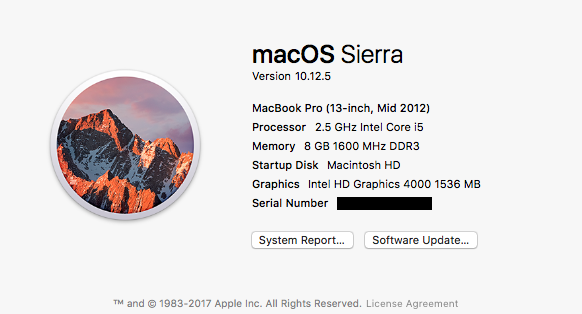 Rebooted the computer and did a clean install of MC | First. Do you have Pro Tools installed? I THINK opening the full version of Pro Tools (with an iLok connected) contributed to my originally working MC |First and App Manager reverting to MC \ First failing and requiring me to go to App Manager. The App manager then failing to initialise. Good point Andrew, I just want to share my recent issue, I was on remote machine using VPN AppMan took forever to log in, I log out of the VPN and within minute it's fixed. Am afraid I havent resolved this issue yet but am still working on it. the Avid App Manager just does not want to connect tot eh servers. My internet connection is fine (150mb broadband) and there doesnt seem to be any blocks on my machine. I don't have ProTools installed. I have had the full version of Avid installed and have recently uninstalled it. You are log into the AppMan when you run MC|First? The only specific application that won't pass Firewall is MCF apparently I am not familiar with where or how to set the specific application if that is the problem .... Application Manager won't initialize , Media Composer First won't launch ..